NBC Sports Philadelphia, The Official Pre and Postgame Station of the Philadelphia Eagles, will be the place to go for total Eagles coverage during Super Bowl Week with extensive coverage from Minneapolis, as well as at home in Philadelphia. The 24/7 multiplatform Eagles coverage includes multiple live shows from Minneapolis. Daily coverage will include press conferences, national guests, football experts, plus exclusive content on NBCSportsPhiladelphia.com; including Philly Sports Talk and Quick Slants podcasts. For additional coverage and insight, follow @NBCSPhilly on Facebook, Twitter, Instagram and Snapchat. Talent reporting from Minneapolis include Michael Barkann, Derrick Gunn, Barrett Brooks, John Clark, Reuben Frank, Ray Didinger and Seth Joyner. Several other special guests will bring viewers the sights and sounds of Super Bowl week, and the Eagles preparations for the Championship Game. The fun begins on Saturday when Quick Slant’s crew of Derrick Gunn and Barrett Brooks head out for the 17-hour drive to Minneapolis, with a brief overnight stop. “The Adventures of Brooks and Gunn” can be followed on @NBCSPhilly’s social media channels. Exclusive Super Bowl coverage can be found on www.NBCSportsPhiladelphia.com, and on the network’s social media channels including Facebook, Twitter, Instagram and Snapchat. Each day, NBC Sports Philadelphia will host a Facebook Live with special guests from Minneapolis. Philly Sports Talk: Monday through Friday at 5 p.m.
Quick Slants: Monday through Saturday at 6 p.m.
Mission LII: Monday through Saturday at 6:30 p.m.
Mission LII Sounding Off: Monday through Friday 11 p.m.
Eagles Pregame Live: 3:30 p.m.
Philly Sports Talk (replay): weeknights at 8 p.m.
Quick Slants (replay): weeknights at 9 p.m.
Mission LII (replay): weeknights at 9:30 p.m.
Mission LII – Weekdays at 6:30 p.m.: Michael Barkann will host this 30 minute show which highlights the sights, sounds and adventures of Super Bowl week in Minneapolis. Mission LII Flight Plan – Sunday at 8 p.m.: This two-hour special takes a look back at the Eagles season, and their road to Super Bowl LII. Click here for a preview. Philly Sports Talk weekdays at 5 p.m.: Michael Barkann will host his long-running talk show from the Mall of America live each weekday from 5 – 6 p.m. featuring football experts from Philly and around the country. Quick Slants weekdays at 6 p.m., Saturday at 6 p.m.L At 6 p.m. Derrick Gunn and Barrett Brooks take over as they break down the Eagles-Patriots game in this X’s and O’s driven program. Super Bowl Sunday – Live coverage begins at 3:30 p.m.: NBC Sports Philadelphia will be live beginning at 3:30 p.m. with an expanded Super Bowl edition of Eagles Pregame Live with Michael Barkann, Ray Didinger, Barrett Brooks and Seth Joyner. Immediately after the conclusion of the game, Eagles Postgame Live will hit the air. 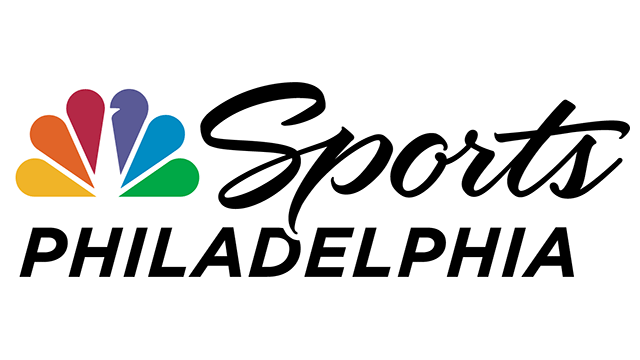 NBC Sports Philadelphia+: Each evening from 8 p.m. until 10 p.m. weeknights, NBC Sports Philadelphia+ will replay Philly Sports Talk, Quick Slants and Mission LII.